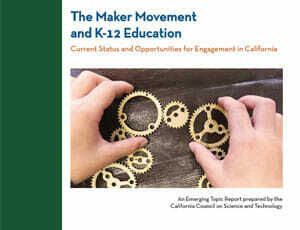 The Maker Movement is rapidly growing at educational institutions around the world and across age and employment levels. "Making" offers complementary learning environments to the traditional classroom, helping participants develop skills that differ from those developed in traditional student projects. Within the past decade, makerspaces have sprung up in schools and campuses around the country. California's Community Colleges are interested in growing more of these interdisciplinary, participatory, peer-supported learning environments. 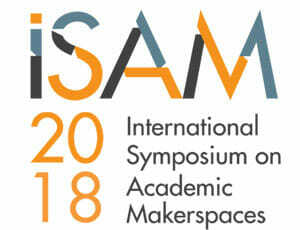 However, there's an inherent challenge in bringing together traditional academic institutions with Maker culture. 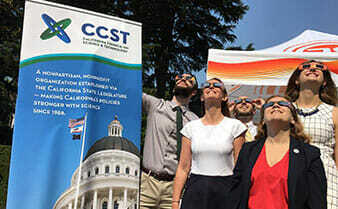 The California Community College Chancellor's Office (CCCCO) turned to CCST to help inform their efforts. There are two phases to the project. 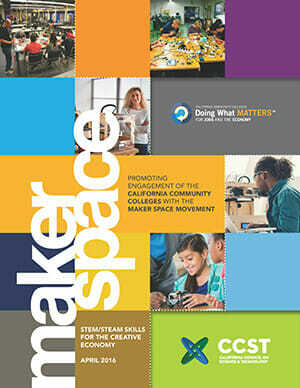 In the first, CCST developed a guide to develop a sustainable network which aligns with the educational goals of the Community Colleges while preserving the uniquely independent culture of the makerspace. In the second phase, CCST is convening three regional symposia to discuss the report and the issue of integrating a network of makerspaces into the Community College system.